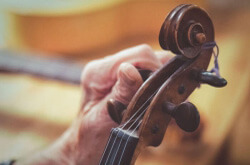 Playing violin is most often a skill learned in childhood and is carried on into adulthood, where seri-ous violin players may venture into a career as a violinist. 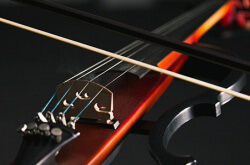 Playing violin at the highest level requires years of dedication and practise and only the best will succeed at the top level. There are many beautifully skilled violinists playing in orchestras around the world and thousands more playing simply for enjoyment. Here, we take a look at the top 10 most prolific violin players in the world, both past and present. Paganini certainly was a legend in his native Italy and, indeed, around the world. He was said to have played for over 10 hours everyday and played to some of most prestigious audiences around the globe. 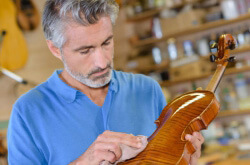 Lucky enough to play violins made my famous luthiers Antonio Stradivari and Giuseppe Guarneri, playing for most of his career on the Il Cannone Guarnerius. Oistrakh is one of the most famous contemporary violinists, famously known for his recitals of Tchaikovsky’s Concerto. 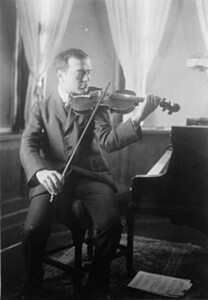 The Russian once compared playing violin to running the 3 minute mile, with the rushes of adrenaline feeding his passion for the violin right up until his deathbed. After serving on the frontline as a doctor during the first world war, Austrian Kreisler took up the violin and went on to forge a career outside of medicine. By his own admission, Kreisler did not practise much but was a natural with the fiddle. His use vibrato and portamento was applauded all over the world and he, most notably, played cadenza to the Beethoven Violin Concerto. After a life of trying to please his parents, who wanted him to become a friar, Tartini went on to fol-low is own dreams to become a violinist. Funnily enough, he actually learned to play in the Monastry of St. Francis of Assisi before going on to play to audiences around the world. His most famous work was his performances of the Devil’s Trill Sonata. Some say that Tartini heard the devil play the sonata in his dream, which led him to play perfect trills the next day. 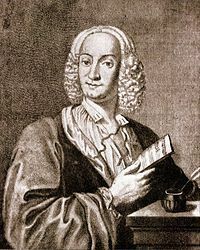 Vivaldi’s is arguably the most well known virtuoso violinist in history. At the time of his death, Vivaldi’s music was not popular at all but it was brought back to popularity when Fritz Kreisler and Alfred Casella brought it back to life during their era of the 20th Century. Today he is one of the three most popular Baroque composers and could probably be named by somebody in most households. 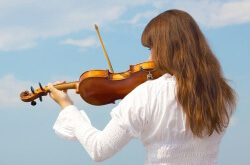 His series of violin concertos, the Four Seasons, are amongst the most popular pieces of classical music known today. 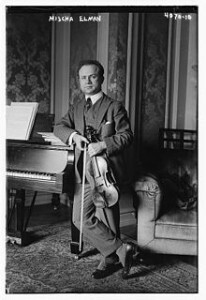 Elman is celebrated as one of the leading violinists of the recording generation. From the tender age of 11 he could play some of the most complicated pieces of music, including concerto’s by Wieniawski’s. The emotion that he evoked through his music was breathtaking and is admired by virtuosos all over the world. Huberman has the great honour of playing to Brahms violin concerto to the man himself in a concert in 1896. Whilst not the world’s best in terms of technique, his music was open and honest and touched upon the emotions of millions of fans. He famously set up The Palestine Symphony Orchestra as a way to save nearly 1,000 European Jews from Nazi concentration camps. Often quoted as the greatest violin player of the recording age, Heifetze is one of the very few, players who can hit all of the right notes in Tchaikovsky’s Violin Concerto, always pitch perfect. 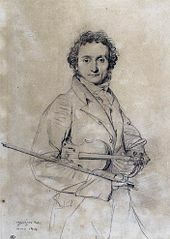 He was praised highly for his performance of Zigeunerweisen, which went on to become his signature piece. He has influenced many current violinists and will long be admired for the tone achieved throughout all of his pieces. Famous within the Jazz genre, Grappelli was self taught and developed a distinguished swaying movement when playing. He was a late starter at 12 but soon caught up to become known as the godfather of jazz violin. He founded the innovative Quintette du Hot Club de France with Django Rheinhardt and toured the world and created many successful collaborations, including with Yehudi Menuhin. Gitlis is the marmite of the violin world, you either love him or hate him. His music is often erratic, fast paced, emotional and intense, the kind of stuff that has seen him play with The Rolling Stones and John Lennon. A true individual and never one to conform to tradition in order to be successful, which is why he has probably not as famous as perhaps he should be. 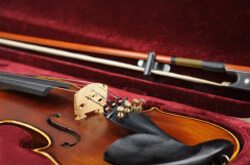 I am sure that violin aficionados are shouting out many more names, the list could honestly go on for pages and pages, there has been so much musical talent over the years.